Vacation? No, thanks. I am too busy. Certainly not. Nobody would EVER voluntarily drop their vacation. Despite the mess before and after, however, nobody would ever say "no, I won't go on vacation because I need to focus on my work". 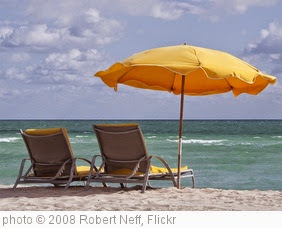 Vacation is immediate personal benefit – you need to recharge your batteries and nobody would doubt the necessity. The issue with training is that people do not see it as a personal benefit right away - for most, it is "just" work-related. People see it rather as an additional task than a merit and this is where I believe we need to change our thinking. It is an opportunity to grow and become a more valuable employee for the current or even future employers. It will allow us to do our work more easily and make it more enjoyable. Most of you will agree that being able to do something well and getting recognized for this is really a great feeling. Last but not least, by being able to complete your work in a more efficient way and without re-work, workarounds or error-fixing, you can save yourself many fire-drills and have an overall more relaxed work atmosphere. I have had employers in the past who didn't offer much training – and thus no real growth perspectives. It ended with me quitting the job and looking for new perspectives. This changed when starting with ITEDO where workforce development was taken very seriously and when we were acquired by PTC in 2006, I got access to even more development options that I am still enjoying today. So basically, I have seen both sides and absolutely see the personal benefit of being trained on a regular basis. I would even be willing to complement a good training opportunity with some of my spare time – such as travel early on a Sunday afternoon to a seminar or do some homework for a class in the evening when the kids are in bed. Would you agree? Why don't you talk to a Training Advisor to get an overview of the training options that are available from PTC University today. We look forward to hearing from you! PS: I also like going on vacation, but haven’t finalized plans for this summer yet – simply had no time – yet.